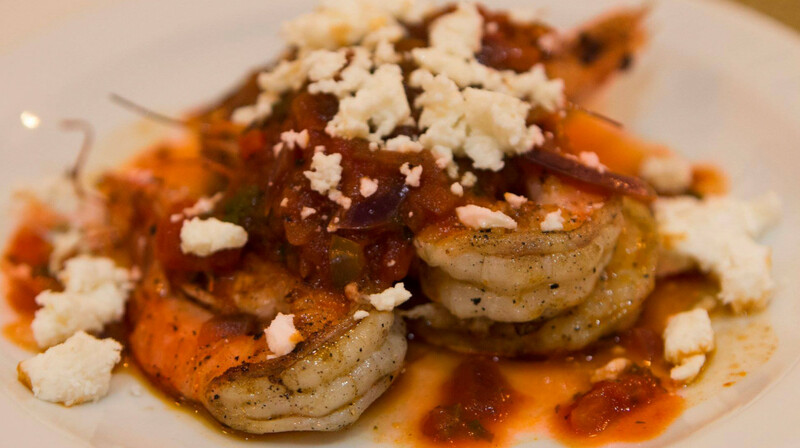 Discover authentic Greek home cooking at Maria’s! 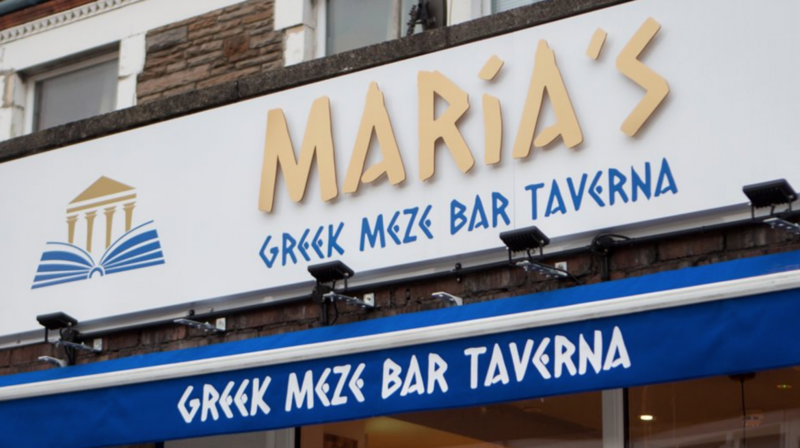 In keeping with traditional Greek values, this independent restaurant is named after the family’s matriarch Maria. You’ll feel instantly at home in this family run restaurant, with her whole family making sure you enjoy your dining experience. Journey through the best culinary regions of Greece with Maria’s menu of traditional dishes, such as meze, grilled meats and Greek salads. 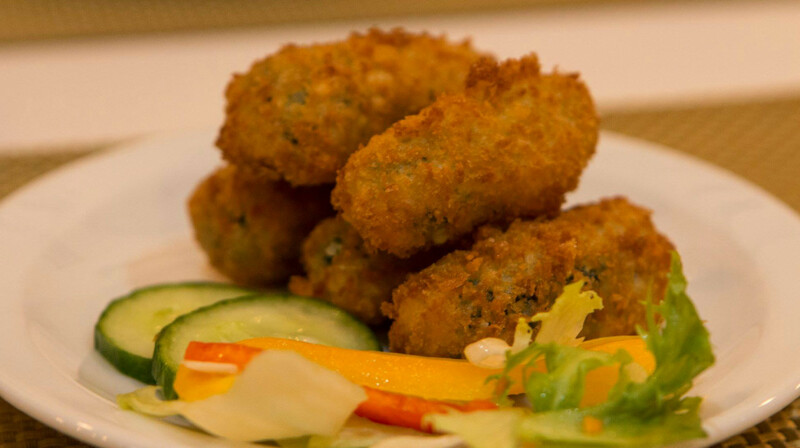 Everything is prepared fresh to order, from their gold-crumbed croquettes with melted feta cheese, to their speciality Moussaka, featuring delicate layers of lamb ragu, aubergine and creamy bechamel. Maria’s also offers an excellent selection of cold Greek beers (try the Mythos) and sweet treats to polish off the evening. Thanks to their heartwarming food and hospitality, this tavern is ideal for families and friends wanting to enjoy an evening together. Starters were delicious, although the salt cod was very salty (be warned). 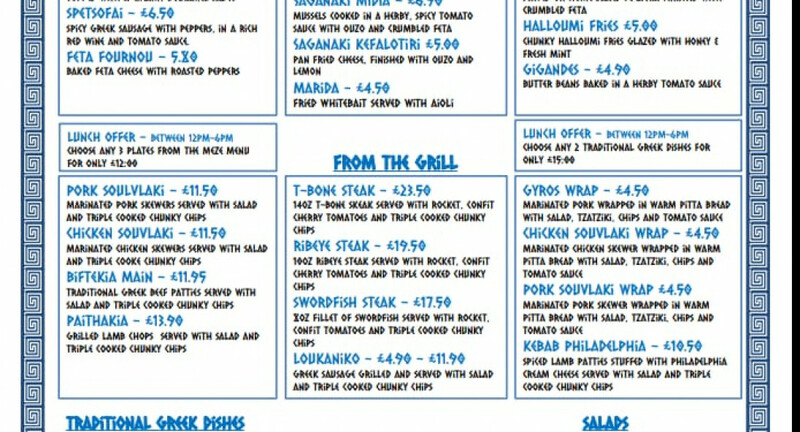 The Moussaka was delicious (definetley order this) however found the gyros and chips a let down. Staff were very friendly, shame the food didn't live up to it. The waitress was amazing and made sure I had a lovely birthday. She accommodated me and the party well and gave great recommendations of what food to have. 100% will be returning. Lovely food and service - will definitely return. Absolutely amazing, could not fault it!!! 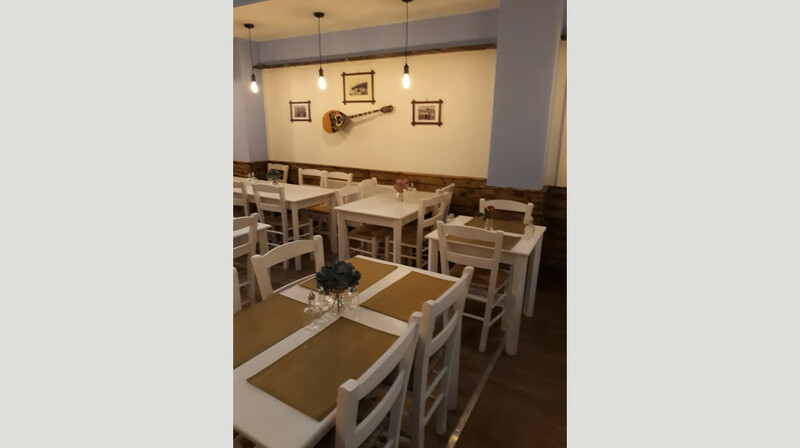 Maria’s is a very authentic feeling Greek restaurant. The food is lovely - they do the best halloumi fries I have ever tasted! 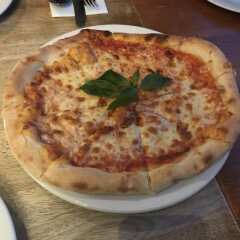 We had a fantastic experience at Maria's! The food was as good as, if not better , than we have had abroad in Cyprus (we've not been to Greece). We had the meat platter for 2 which came complete with Chicken and Pork souvlaki, lamb kebabs and gyros, along with the most amazing thick chips, pita bread, Greek salad, and tzatziki. We also had haloumi fries and a portion of houmous (which also came with additional pita bread). We were stuffed afterwards but very happy with the taste experience! It's a very cosy place with a lovely atmosphere and decor and great service. Incredible food with very generous portions, would espiecally reccomend the halloumi fries! Had a really friendly waitor. I forgot to take my bag when I left the restaurant and he ran down the street after us to give it to me - amazing customer service that doesn’t end once you’ve paid the bill. This place is lovely inside and the staff are super friendly. We really enjoyed all the food, it tasted amazing. We'd recommend it and can't wait to go back ourselves. Excellent food, great service, will definitely be returning! We went for a selection of the 'mezze' dishes – halloumi, calamari, king prawns, whitebait, grilled sausage, spinach croquettes and filo parcels with minced lamb. I can't fault any of it – we tried deciding which dish was our favourite but they were all equally good. The service was speedy and the waitress was really friendly, too. Overall a great experience and we'll definitely be back. The food was amazing very tasty and the customer service was great! I will definitely go back and I would recommend to friends and family! Had a wonderful evening at Maria's Greek Taverna thanks to first table. Service was prompt and attentive, as soon as we entered the manager greeted us and knew who I was when I told him my name and that I had booked the table through first table. All the food was delicious, we shared 3 meze plates to start, the halloumi fries in particular were incredible. The mains were also very good, the mousakka came out piping hot and was very tasty and the pasta dish was very nice. The wine was lovely and a very good price. To round it off there was no confusion with the bill and all the food we ordered had the 50% off with no problems at all. Overall we had a lovely time and the place itself is very quaint and had a great atmosphere, we will definitely be back! 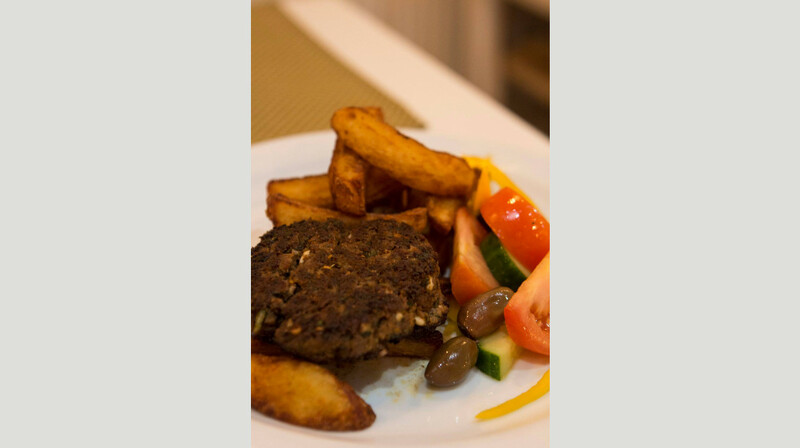 I have been here a few times and enjoy the good food and friendly service. Lovely relaxed atmosphere at affordable prices. Big portions too! Maria's is such a gem of a place - the servers are polite and attentive, the atmosphere is good and the food is fantastic. Highly recommend the calamari starter (possibly the best I've ever tasted). The moussaka is delicious and the kebabs are amazing . Highly recommended. Powered by a few gins from The Flora, we nearly walked by the place - clearly not concentrating! Warm and friendly greeting, we were soon looking at the menu and some house white was on the way. Food was very good as was the wine. Service was attentive throughout and didn't feel rushed at any point. No plates were smashed and we left feeling full and happy. What a fantastic dining experience! Maria's has a very authentic but contemporary feel and the food was delicious. Excellent service too. Would definitely return again SOON! Delicious and authentic Greek meze that had the Hellenic seal of approval from my Greek boyfriend! Friendly and attentive service. We will be back soon. This was our first time dining at this new Greek restaurant. 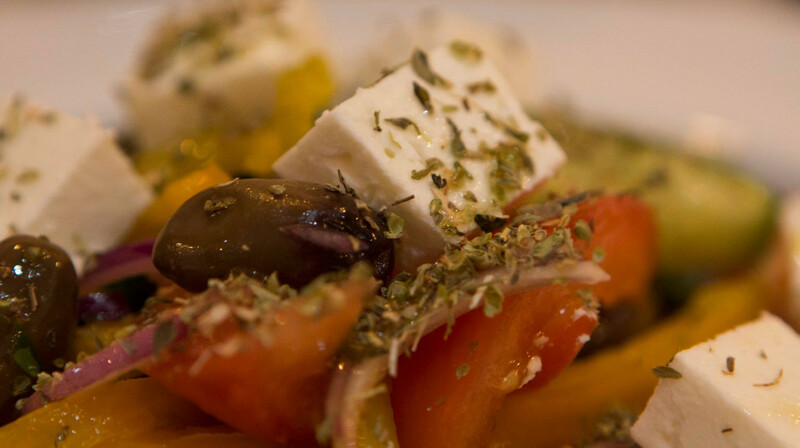 We had a selection of Mezze dishes and they were all fantastic - really big portions of authentic Greek food. We would love love to come back and try some of the larger dishes on offer as from eyeing up other diner’s food they looked yummy. The service was excellent, we had a young girl serving us who was very attentive and had good recommendations which definitely helped. We will be heading back very soon! Fantastic restaurant with great Greek food! The staff were extremely friendly and very attentive! I would definitely recommend and will be returning. Stands well against other Greek competitors on Whitchurch road - it also has plenty of non-pork options which is handy! This was our first time using First Table and to Maria's. We had a few starters to share and a main each. The halloumi fries in particular were delicious and my boyfriend commented that the lamb was the best he'd ever had. I didn't catch the name of the waitress but she was very polite and attentive. We will definitely be back here and have already recommended to friends. Great Greek atmosphere. Perfect service. Authentic experience. We really enjoyed our meal. The portions were very generous and we'd happily pay the full price another time for what we had. My partner had the lamb and I had a selection of meze dishes. Everything was delicious and came in bigger portions than expected. Service was a little slow, but the restaurant was very busy for a Monday night. We look forward to going again. Really pleasant reception, great and knowledgeable service, outstanding food, the honey baked houlomi was outstanding, the klefika fell off the bone and the feta with it was incredibly fresh and toothsome, the stuffed peppers were by no means a poor vegetarian choice, perfectly blackened peppers encasing a rich and flavoursome rice, with an impeccable salad comprising the freshest leaves and refreshing and complimentary dressing. Oh my, the desserts! The gelakobouriko whilst unknown to us will not remain unknown, excellent soaked phyllo pastry, rich wobbly scented custard and such a generous portion, the baked honey cheesecake ran it a very close second. 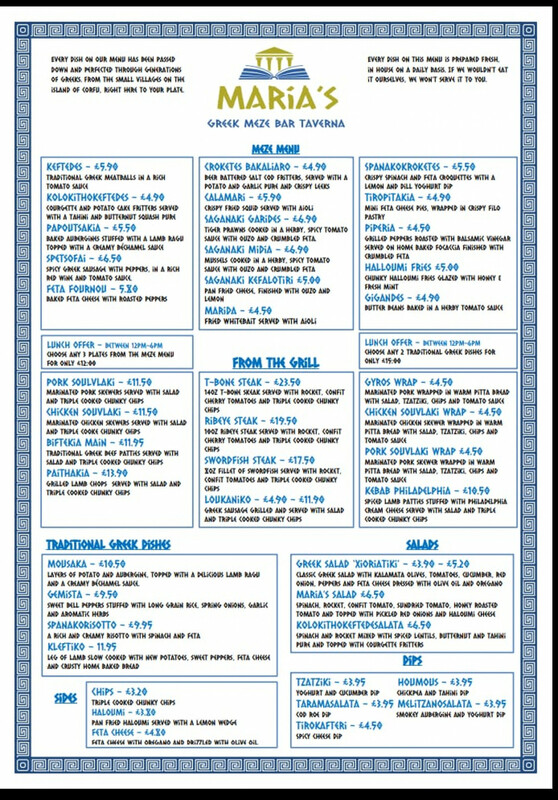 Very fair pricing for such obviously 1st class ingredients cooked with love and passion. Very fair wine pricing too, with the option of 50cl carafes for the price of a glass in other restaurants. Maria's is a very welcome addition to Cathays and we will be back! Wonderful family business, all the staff were very friendly and helpful. The food was delicious. We ordered too much because we couldn't make any decisions! Flavours were amazing, portions were generous and we will definitely be back! Thanks!